When you SHOP SMALL at independent, locally owned businesses, 52% of what you spend stays right in your community, supporting local organizations and services! 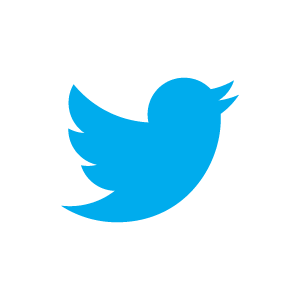 Be Social! Like us! Follow us! Pin us! and moisturize with Body Sorbet or Aloe Vera Body Whip. Looking for bubbles? Try our Bubblecakes! We've got what your skin needs, and we make it FRESH for YOU! 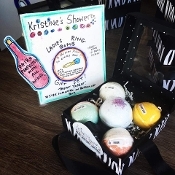 Want to add Kristine's Shower to your product line-up? 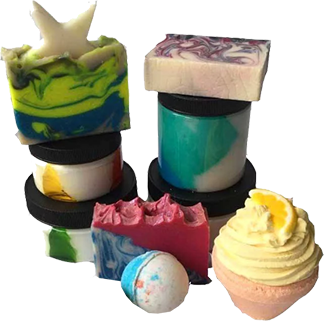 Take a look at what we can offer and contact us about setting up a wholesale account! 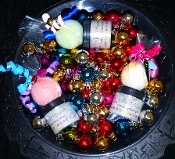 Call 815.223.SOAP or email kristinesshower@aol.com. Sorbet Bathbomb Combo Mystery Box?? Load up the cart! Pay later with the Bill Me Later payment option through Paypal! 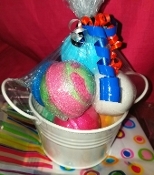 From soaps to lotions...scrubs to bathbombs...if it's good for your skin, we have it! Your skin will FREAK out! !